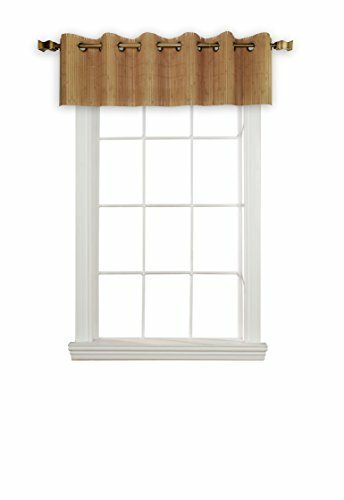 Natural & "Enviro" Bamboo Grommet Top 84in Panel features 1-1/2in diam grommet mounting system. Rust Resistant Antique Brass grommets slide side to side for easy opening without the dangerous cords - pet and child friendly product. The look of Roman shade bamboo material and hangs like a standard curtain panel on a decorative drapery rod (rod not included). Clean with a vacuum or soft brush. This curtain covers 38in in width. This product is meant for Indoor use. 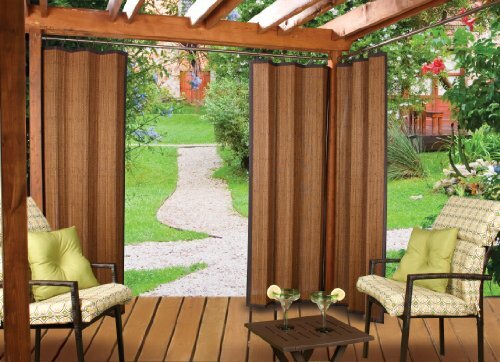 Indoor/Outdoor Patented Ring Top Bamboo Panel (40" wide x 72" Long); Specifically designed for Gazebos! Indoor & Outdoor Natural & "Enviro" Bamboo Ring Top Panel features patented Easy Glide mounting system. Stainless Steel Dark Brown rings slide side to side for easy opening without the dangerous cords - pet and child friendly product. 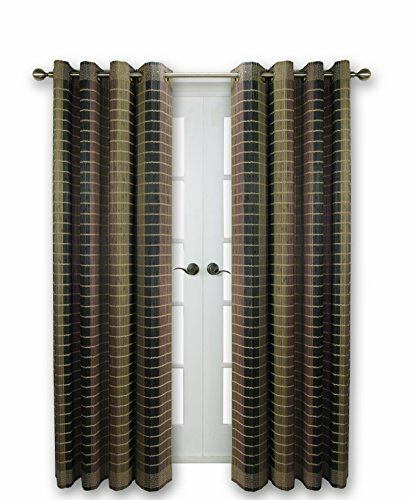 The look of Roman shade bamboo material and trimmed with 100% polypropylene UV resistant fabric (Dark Brown). Clean with a vacuum or soft brush. This curtain covers 40" in width. This product is meant for Indoor & Outdoor use; and can be combined with an Indoor Thermal or Blackout "Easy-fasten" Liner for energy saving solutions. (Includes 1 pc per package; drapery rod not included). Swing those curtains open! Gain easy access to windows for cleaning. Versailles' 1/2in diam. SWING ARMS can be used on French Doors, Small Windows, Bay Windows, Hide a messy area, Hide appliance alcoves, create a simple canopy, create room dividers. Best used with light weight curtains. Comes as a pair (2 pcs) in a pack. Insulating THERMAL Liner fits 42"W x 63"L Bamboo Grommet Top panel. Ideal for Thermal Insulation against heat/cold loss, Filters sunlight and provides added Privacy. Easy-fasten "Hook & Loop" system comes preinstalled on all Bamboo Grommet Top panels and Liners for hassle-free installation of and removal of THERMAL Liner. 100% polyester face & 100% acrylic backing (color: Off-White); Machine washable. This product is suggested for Indoor use only. This product only fits Versailles' Grommet Top Bamboo Panels. A Drapery Wand that morphs like magic! 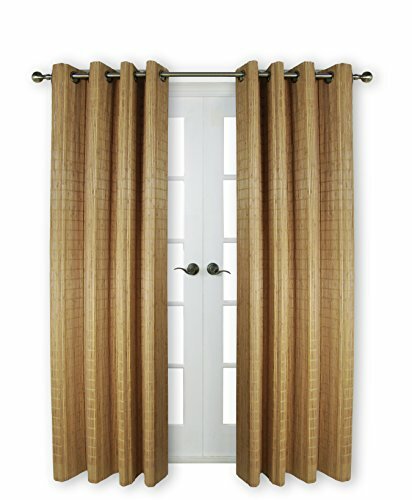 Introducing, the incredible Acrylic Drapery Wand by Versailles Home Fashions. This crystal clear 34-in. panel puller features multiple adapters allowing this wand to convert like magic to be used with any type of curtain top treatment. Easily removable clips and rings will leave this wand looking like you bought it custom for your window treatment. Extra strong acrylic will not bend or brake as you glide your curtains side to side. In addition the ultra clear baton will virtually vanish against the panel backing, making it invisible from the outside looking in. The 34-in. length will make even 108-in. long window treatments easy to open and accessible to all. Versailles' Natural & "Environ" Bamboo Grommet Top Panels slide side to side for easy opening without the dangerous cords - pet and child friendly product. The look of Roman shade bamboo material and trimmed with 100% cotton fabric. This product is meant for Indoor use. 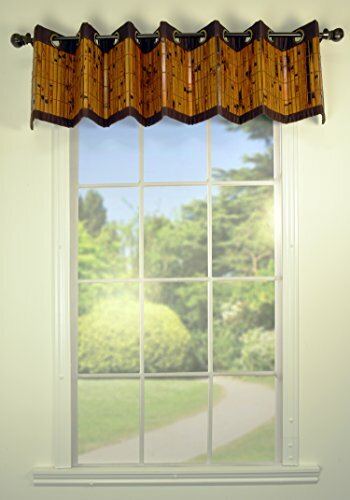 Natural & "Enviro" Bamboo Grommet Top Valance features 1-1/4in diam grommet mounting system. Rust Resistant Antique Brass grommets slide side to side for easy opening without the dangerous cords - pet and child friendly product. 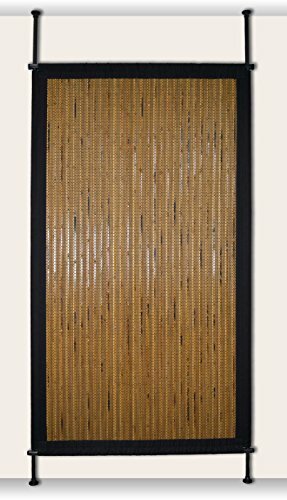 The look of Roman shade bamboo material and hangs like a standard curtain panel on a decorative drapery rod (rod not included). Clean with a vacuum or soft brush. This curtain covers 65in in width. This product is meant for Indoor use. Looking for more Versailles Home Fashions similar ideas? Try to explore these searches: Hardwood Futon Bunk Bed, Products San Diego Chargers Game, and Gun Magazine Loader. Look at latest related video about Versailles Home Fashions. Shopwizion.com is the smartest way for online shopping: compare prices of leading online shops for best deals around the web. Don't miss TOP Versailles Home Fashions deals, updated daily.